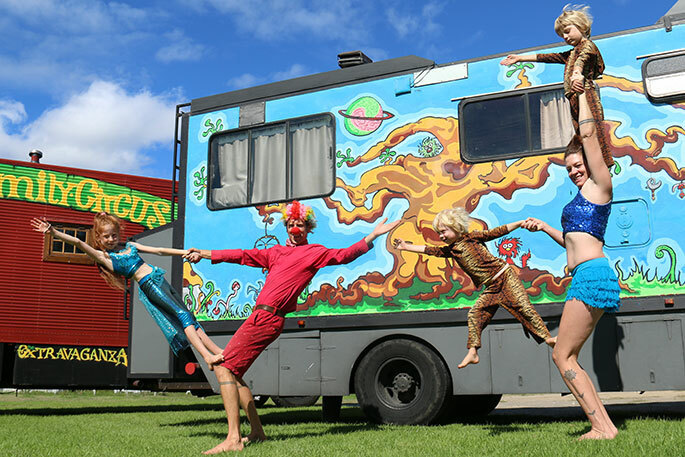 The Ashton Family Circus, from left: Dylan, 10, Royce, Dallas, 4, Anna and Jaz, 4. Photos: Tracy Hardy. That’s exactly what the Ashton kids have done – only they’ve got their parents in tow too. 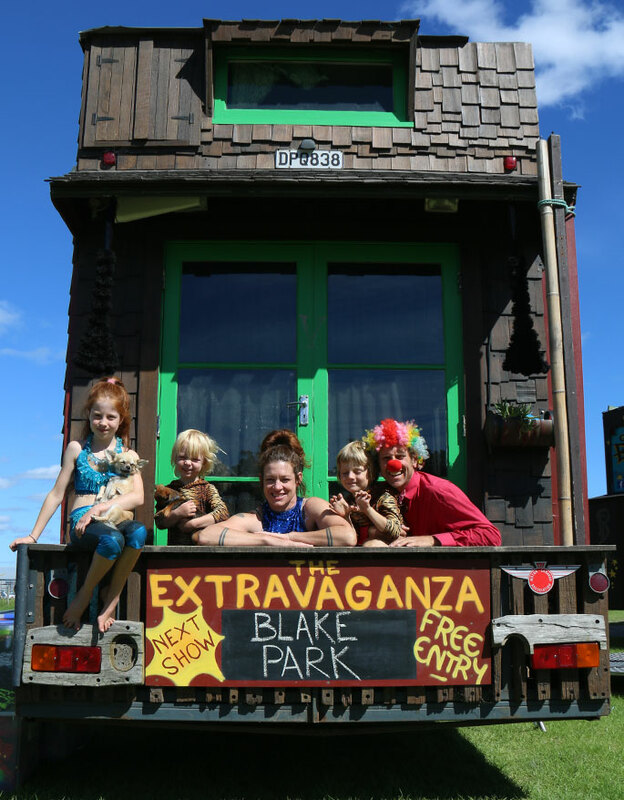 Mum Anna, dad Royce, daughter Dylan, 10, and twins Dallas and Jaz, 4, make up the Ashton Family Circus, part of this weekend’s Extravaganza at Blake Park. “The twins are our ‘wild tigers’, while my 10-year-old daughter does aerial hoop and is an amazing dancer. And my husband is the clown – it came to him quite naturally,” laughs Anna. 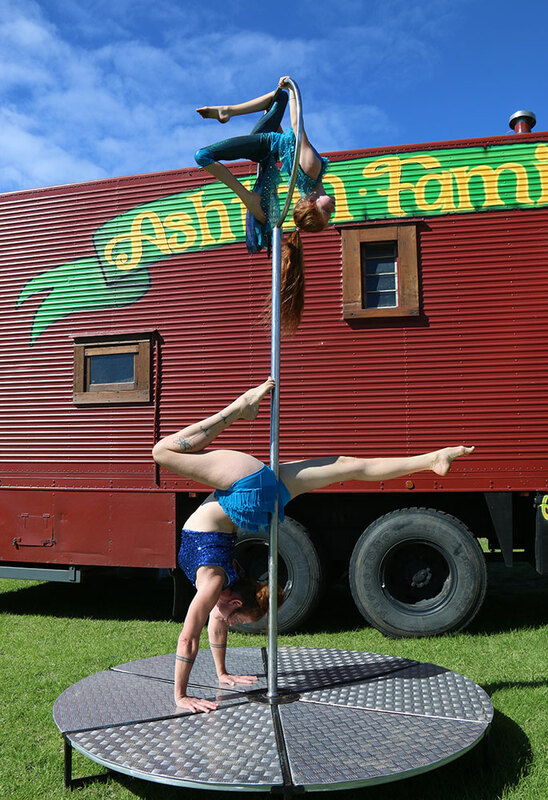 She’s a pole dancer herself, and performs together with her daughter in their routine. 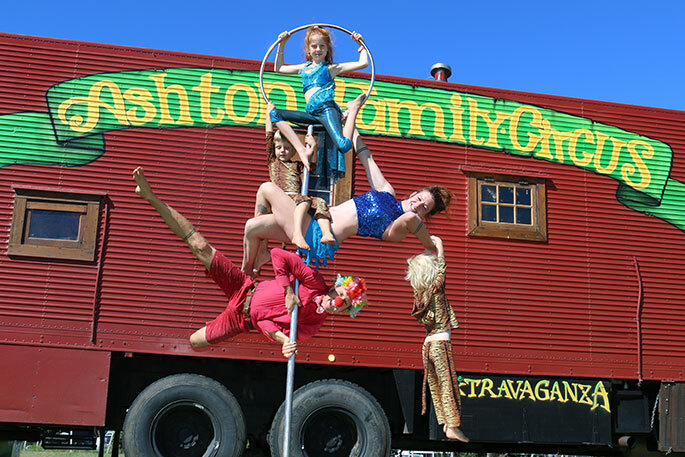 It’s the family’s second season with the Extravaganza, a classic gypsy fair that tours the country. Last weekend they were caught up in the flooding at the Sundaise Festival, and Anna says they’re taking a couple days before the weekend to set up and ‘dry out’ a bit. 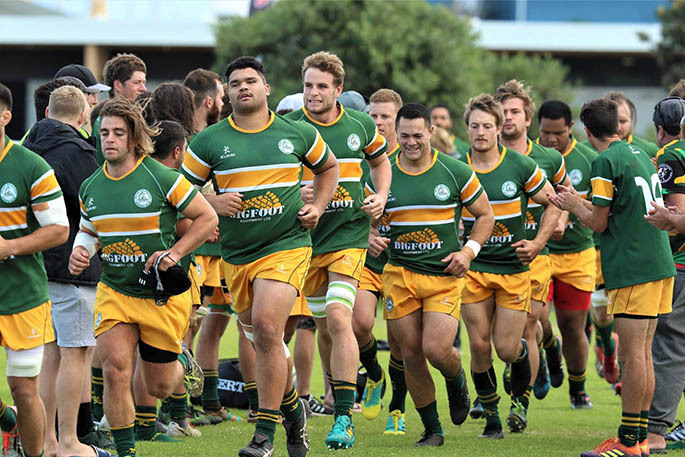 For the Ashton family, performing is in the blood. 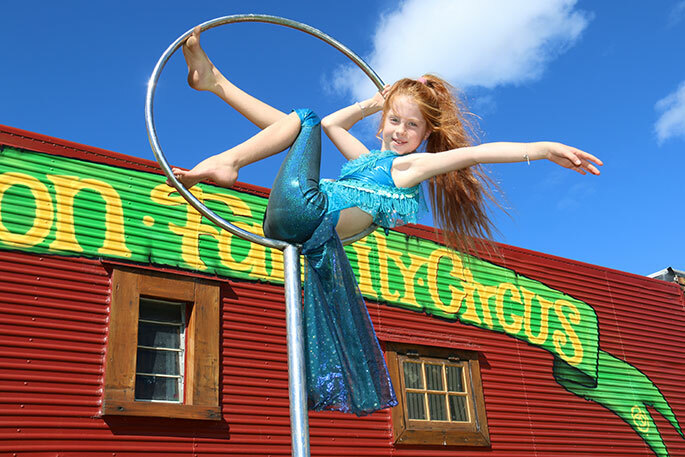 “I’ve been performing for over 20 years, and my daughter’s been performing since she was about three,” says Anna. There are 32 other trucks that form the festival market, with lots of market stalls and award-winning musicians playing throughout the day. There’s plenty for kids to do as well, such as tug of war, musical bean bags, and sack races. 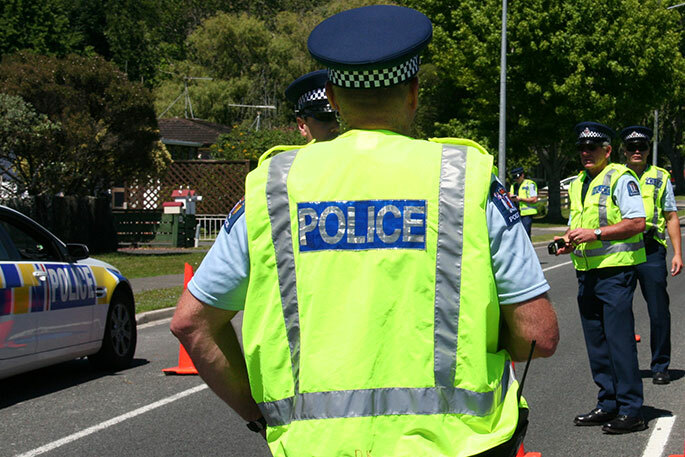 The Extravaganza is on at Blake Park in Mount Maunganui from 9am to 5pm, Saturday and Sunday. 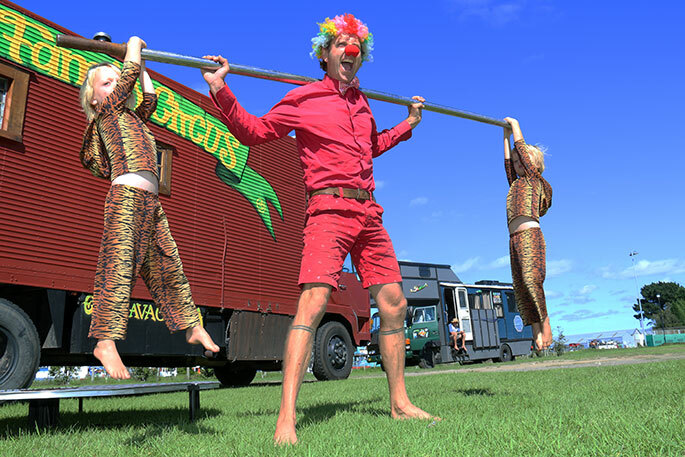 Catch the Ashton Family Circus shows at 11.30am and 2.30pm, plus Dylan’s magic show at 1pm, for some good old fashioned fun.